On June 8, 2017, the Florida Supreme Court issued its decision in North Broward Hospital District v. Susan Kalitan in which it declared unconstitutional the statutory caps placed on the recovery for non-economic damages of the victims of medical negligence. Let's look at what this means. Damages in personal injury cases are largely divided into two categories. Economic damages are those things we can calculate precisely such as medical costs and lost earnings and earning capacity. These losses were not capped under Florida Statutes Section 766.118. 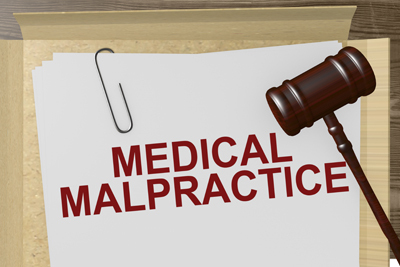 However, in many medical malpractice cases, the driving forces in the case are typically the non-economic losses. These losses include mental and physical pain and suffering, scarring, disfigurement and loss of enjoyment of life. These non-economic losses had been capped or limited in Florida since 2003, when the legislature amended the law by imposing limits on a malpractice victim's ability to recover for these losses. It was and remained a big deal. What this misguided law accomplished was to arbitrarily limit the amount of money the most severely injured victims could recover in a medical malpractice case. It was clearly arbitrary and the court found it to be so. It created two classes of victims as well as two classes of tortfeasors (the people who negligently cause the injuries). The victim classes included someone who had a serious injury and recovered the full value of their injury because it was valued below the damage caps. On the other hand, someone with a catastrophic injury would be arbitrarily limited to the cap. Tortfeasors were likewise placed into two categories. If they caused an injury to someone which was valued within the limits of the legislative caps, the doctor or hospital paid the full value of the claim. Whereas, if they catastrophically injured someone, the doctor or hospital was not responsible for the full value of the harm caused and reaped the benefit of the damage caps. By any objective measure, arbitrarily placing a limit on the most hideously injured victims is hardly a fair and equitable way to promote financial stability in the medical malpractice market. We celebrate this decision by the Florida Supreme Court, even though it is long overdue. This decision will promote fairness and finally place malpractice victims on an equal playing field with the insurance companies representing doctors and hospitals. We stand ready to help anyone who has been injured as a result of the negligence of a doctor or hospital. There is never a charge to discuss what happened in your situation.